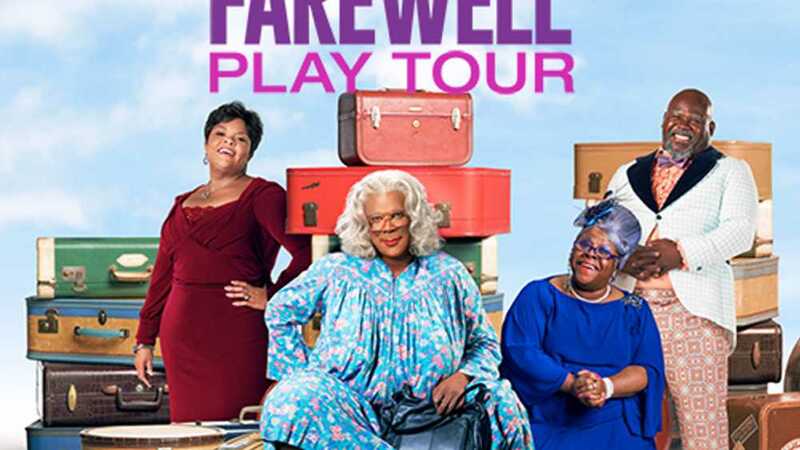 Tyler Perry brings Madea's Farwell Play Tour to DeVos Performance Hall for two shows on March 5th & 6th, 2019 at 7PM. Featuring Tyler Perry, Tamela Mann, David Mann and Cassi Davis. Tyler Perry's inspirational journey from the hard streets of New Orleans to the heights of Hollywood's A-list is stuff of American legend. Born into poverty and raised in a household scarred by abuse, Perry fought from a youg age to find the strength, faith and perseverance that would later form the foundations of his much-acclaimed plays, films, books and shows. In the year 2000, I Can Do Bad All By Myself marked the first appearance of the now-legendary Madea. The God-fearing, gun-toting, pot-smoking, loud-mouthed grandmother, Madea, was played by Perry himself. Madea was such a resounding success, she soon spawne a series of plays- Madea's Family Reunion (2002), Madea's Class Reunion (2003), Madea Goes to Jail (2005) - and set the stage for Perry's jump to the big screen. In 2015 Perry returned to the stage, performing his new original play, Madea on the Run, to sold out audiences across the United States.